Putting your retirement savings into a physical gold IRA could help you safeguard your money from the declining dollar, as well as stock market volatility. But one of the first things you’ll need to consider when opening your IRA is what to put inside it: what types of gold and how much? If you’re new to buying gold, don’t worry. Birch Gold Group makes it easy. We will guide you through every step of the process, and our Precious Metal IRA Specialists can educate you on your options. 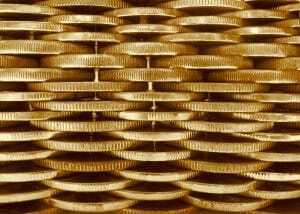 To help you get started, let’s take a look at the basic anatomy of a physical gold IRA and the types of gold you can invest in. A necessary first step to understanding the anatomy of a physical gold IRA is to familiarize yourself with the IRA itself. To add gold to a government-approved retirement account, you will need a self-directed precious metals IRA. This type of IRA is specifically approved for investments in precious metals. It gives you control over the investment decisions for your retirement plan, while a custodian holds the assets on your behalf in a secure metals depository or vault. Two of the most common types of physical gold added to an IRA are gold bullion and gold proof coins – both of which are available through Birch Gold Group. Gold Bullion:Gold bullion is an extremely liquid asset whose value is determined primarily by its gold content and weight. Many investors choose gold bullion as a way to protect their purchasing power in the face of inflation and the fall of the U.S. dollar, among other reasons. Gold Proof Coins: Proof coins, such as the Proof American Gold Eagle, are minted with the highest production standards and are only available in limited quantities each year. Their rarity and condition play additional roles in determining the value of these coins, aside from their gold content, making them an attractive option for those seeking additional growth potential. If you wish to diversify your physical gold IRA, you have the option of adding other precious metals. Silver, platinum and palladium are all approved for self-directed IRAs. Want to keep some funds invested in paper assets or other commodities? In addition to precious metals, a self-directed IRA also gives you the flexibility of investing elsewhere, such as in stocks, mutual funds, real estate and mortgages. How much money you allocate toward different types of gold, or other investments, is up to you. Your Precious Metal IRA Specialist at Birch Gold Group can advise you on recommended allocations, based on your specific needs and goals.